Proactively detect and block cyber threats to your organisation. The NTX solution from Nominet cuts through the noise, detecting and pinpointing threats on your network immediately. Our solution identifies and proactively addresses threats to enable cyber security teams to operate in an efficient and insightful way, whilst protecting your business and reputation. Built to analyse billions of DNS data packets in real time, NTX provides you with visibility and protection on critical threats to your organisation, including malware, phishing and data exfiltration. Learn more about the cyber security challenges faced by organisations involved in the provision and maintenance of critical national infrastructure (CNI). What are the numerous cyber threats faced by CNI? Three recent, high-profile attacks that crippled sections of CNI are analysed. The video goes on to explain specifically how Nominet’s innovative NTX platform, with its unique algorithms, would have prevented each attack, had it been installed. The internet has grown up around this signposting system that allows us to browse the web and allows applications and programs to find the systems they need to operate. 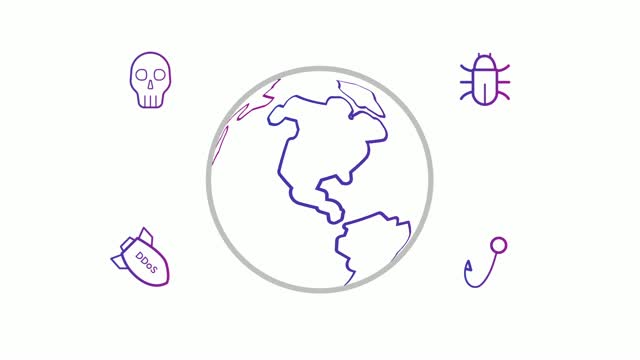 Watch this video to learn how the DNS works, why the DNS is regularly exploited by cyber criminals and what makes it the perfect place for us to detect signs of cyber threats and protect organisations against them. Nominet’s NTX platform can predict, detect and block cyber threats that exploit DNS at some point in their attack cycle - which is most of them. Watch this video to learn how important DNS is to the day-to-day operation of networks, and how NTX’s unique technology uses DNS to instantly predict, detect and block cyber threats on your network. In the age of digital transformation, protecting your network is protecting your organisation! With 100% uptime, Nominet has handled immense amounts of DNS traffic, from all over the world, for over twenty years. This thought-provoking video shows the vast flow of DNS traffic to the .UK registry alone, over a 24-hour period. At its peak the Nominet platform handled 37,000 requests per second - searching for signs of malicious activity without affecting network performance. The techniques we have developed to do this form the heart of Nominet’s NTX platform, an innovative cyber security tool that protects organisations from malware, phishing and attempts to steal data.